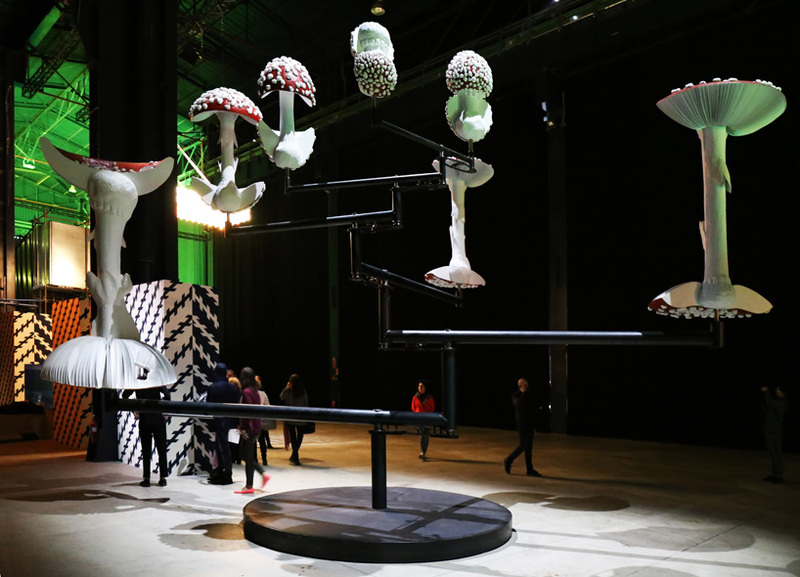 milan’s hangarbicocca hosts ‘doubt’ — a solo exhibition of artist carsten höller that contains more than twenty works that invite visitors to engage, and become a part of them; blurring the line between the spectator and the performer. directly involving the viewer in his art, höller’s practice revolves around the search of new ways of inhabiting our world: ‘some of the works on this exhibitions are there to give you the possibility to produce experiences, and I’m even using this word, feelings, in order to get closer to something that has nothing to do with predictability,‘ he states. the german artist’s practice summons different states of mind, such as joy, illusion and of course ‘doubt’, opening the door to new ways of perceiving reality. 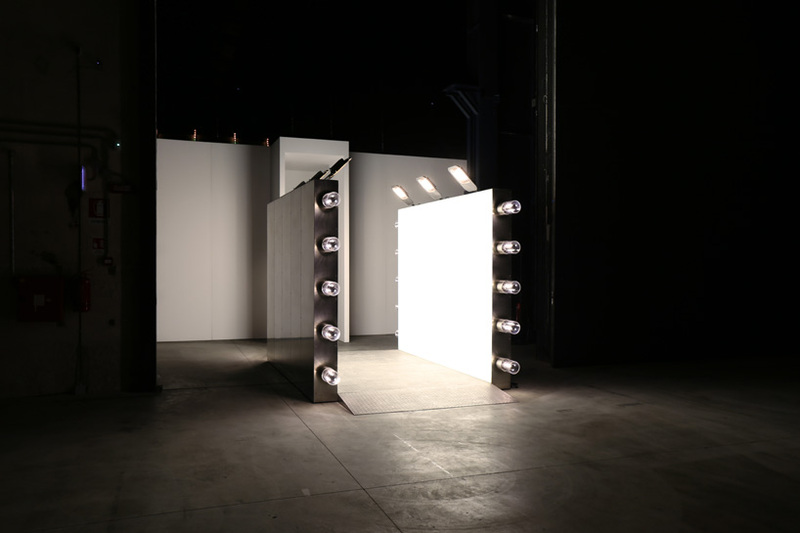 curated by vicente tolodí, the exhibition offers a rich selection of höller’s pieces, both old and new, offering an overview of the diverse mediums in which he engages in — from large-scale installations to videos and photography — and the way in which the artist plays with spatial and temporal coordinates of the venue; charting a course between symmetry, duplication and reversal. ‘doubt’ unfolds along twinned, parallel paths that foreground the potential which lies in the moment of decision making, thus demanding sensory participation and perceptual focus from its viewer. it is up to the visitor to choose who they approach and experience the exhibition, as they are in control of which path they choose to take. proceeding ‘Y’ is ‘division walls’ (2016)which is comprised of two partitions made-up of colored sections, each of which halves both the dimensions and the intensity of tone found in the one before. 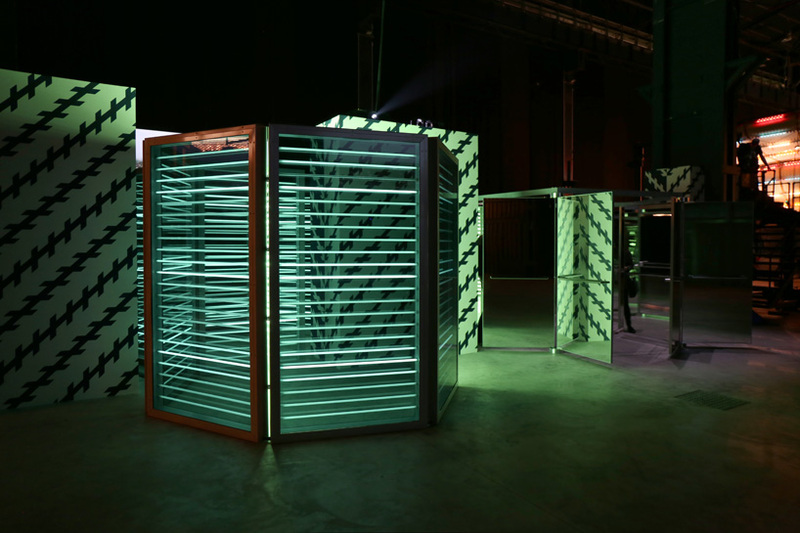 echoing the mathematical concept of the asymptote, in which a curve can only approach a straight line by infinite degrees, the contrast between boundary and extension on which the work is based, paves the way to ‘decision corridors’ (2015): two mirror-image steel structures, set at different levels, which leads you along a dark, maze-like path, in one could potentially lose their sense of orientation and time. 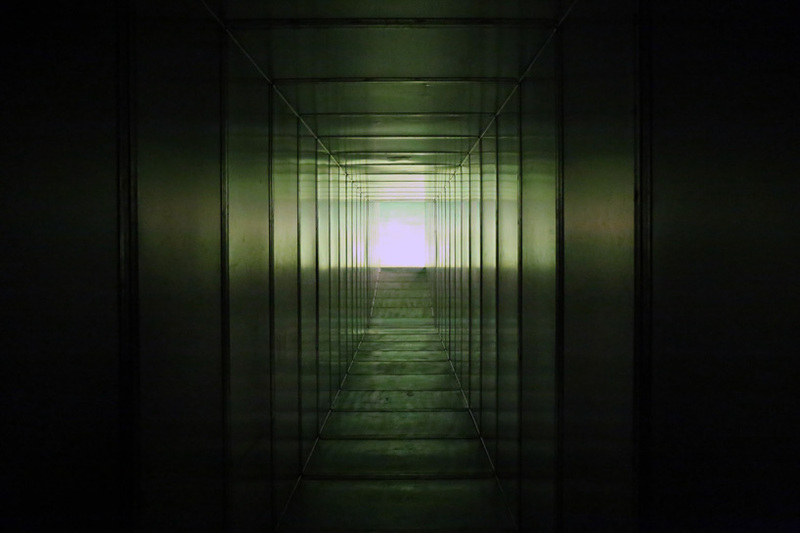 these completely dark passages generate different feelings, sparking the not-so-brave visitors to turn on their cellphone lights to guide their way; but their fear of not knowing where they’re going or what they will be facing, ultimately generates more doubt within them. 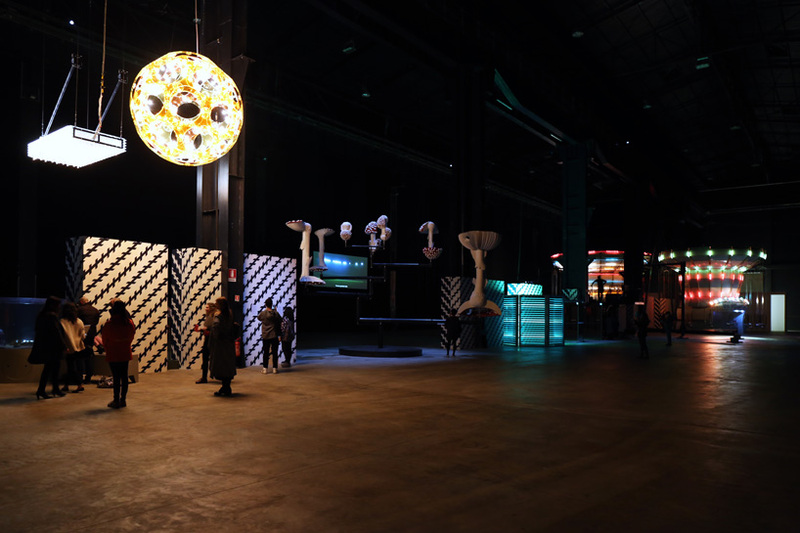 once the visitor exits the metal tunnels, the immense venue of hangarbicocca opens up to a layout of alternating works that draw on optical experiments like ‘zöllner stripes’ (2001-ongoing), whose illusory pattern characterizes the central part of the show; and ‘upside-down goggles’ (1994/2011), whereby the artist invites visitors to see the world from the bottom-up. 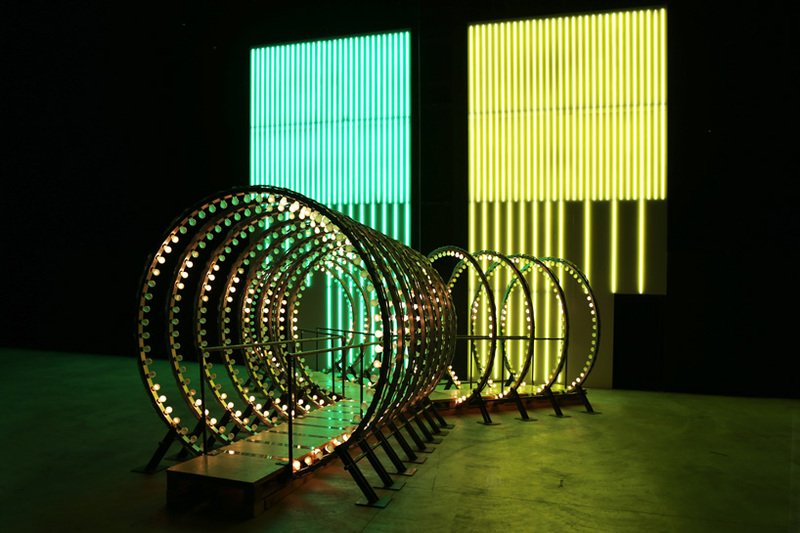 taking on a more playful nature and encouraging participation, there is ‘double carousel’ (2011) — an installation that is based on the well-known merry-go-round amusement park ride. 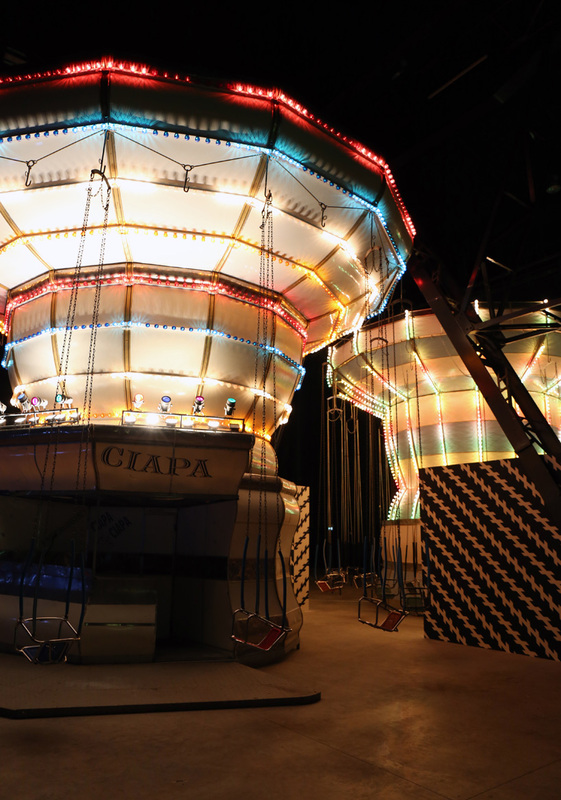 höller has altered two carousels so that they move in different directions, at an extremely slow pace, projecting a sense of euphoria. 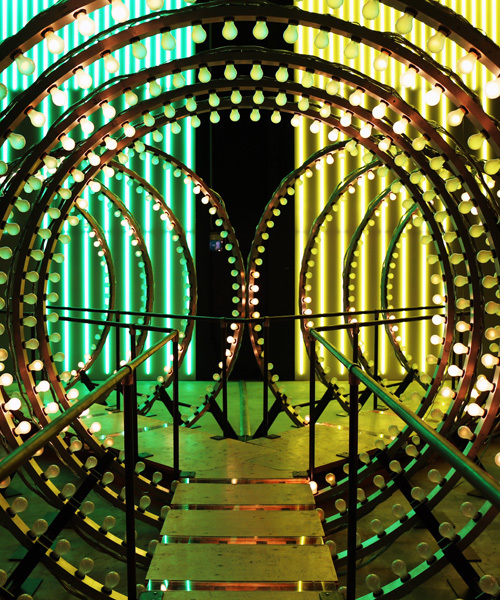 the leisurely speed allows the visitors to get on and off the ride, while their environment is changed through reflections. while you’re on it, the staff will offer you to use the ‘upside-down goggles’, further enhancing this altered perception and feeling of drifting through space. 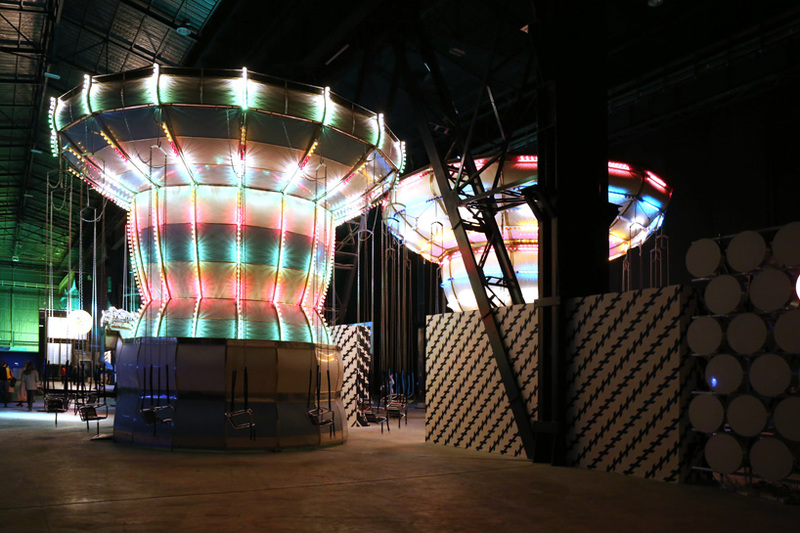 there is also ‘two flying machines’ (2015), two structures that rotate slowly in a circle and carry users that are secured by a harness attached to the revolving machine, giving one the opportunity to experience the sensation of flight. again the sense of doubt keeps on appearing throughout each installation, making the user think twice about whether they should take the experience or not. 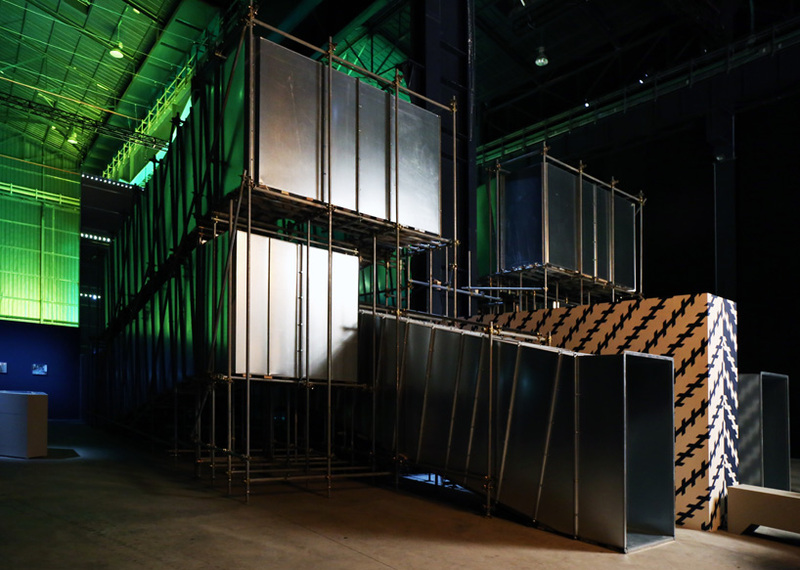 ‘two roaming beds (grey)’ (2015), where the artist invites users to spend the night over at hangarbicocca on two beds that drift endlessly through the space. 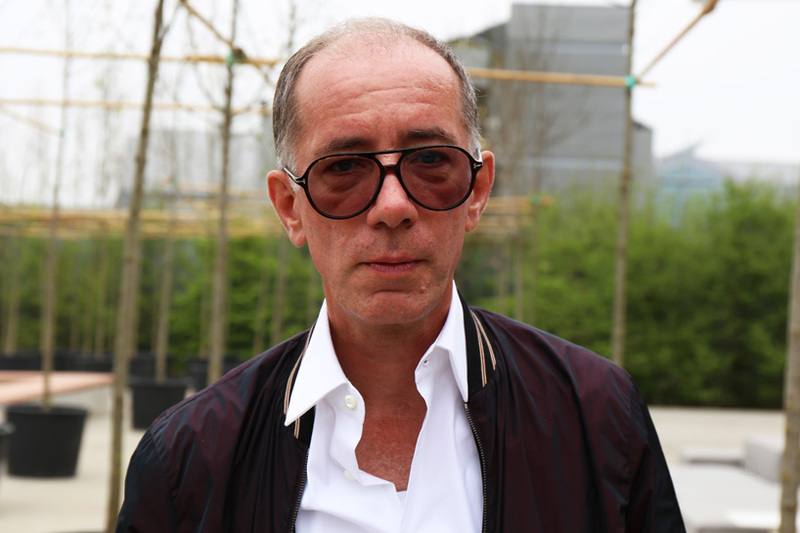 ‘doubt’ is an exhibition that highlights why carsten höller has risen to the force of the international scene for his penetrating inquiry into the nature of human experience. 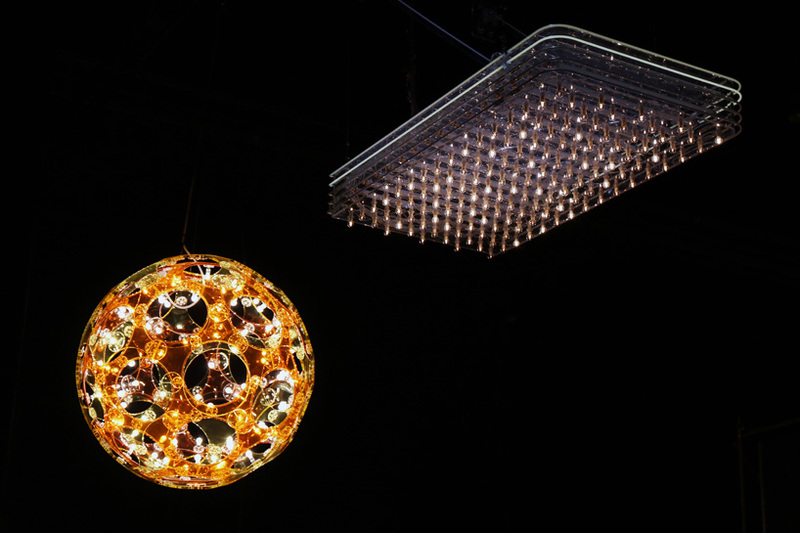 it is also a show that comments on the idea of who the spectator is, who the performer is, and how these roles interchange in a matter of seconds, when the spectator becomes the performer, and the performer is now watching the spectator. duality, as well as doubt, is present throughout the exhibition, reminding us that the one is also the other.